A naval officer (Mark Elwes) and Lt Caspar (Phillip Bond) sit in a dentist's waiting room. They both raise their eyebrows and look at each other when the hear screams emanating from the surgery. An RAF officer (David Richards) emerges, holding a cloth against his mouth, and departs silently. The dentist, Sgt Blackie (Glynn Edwards) appears and asks for his next patient. Caspar follows him into the surgery and gives him his name, rank and number but when he refuses to confirm he's with Military Intelligence, Blackie calls in two Chinese guards, Toy (Vincent Wong) and Ling Ho, to restrain him. 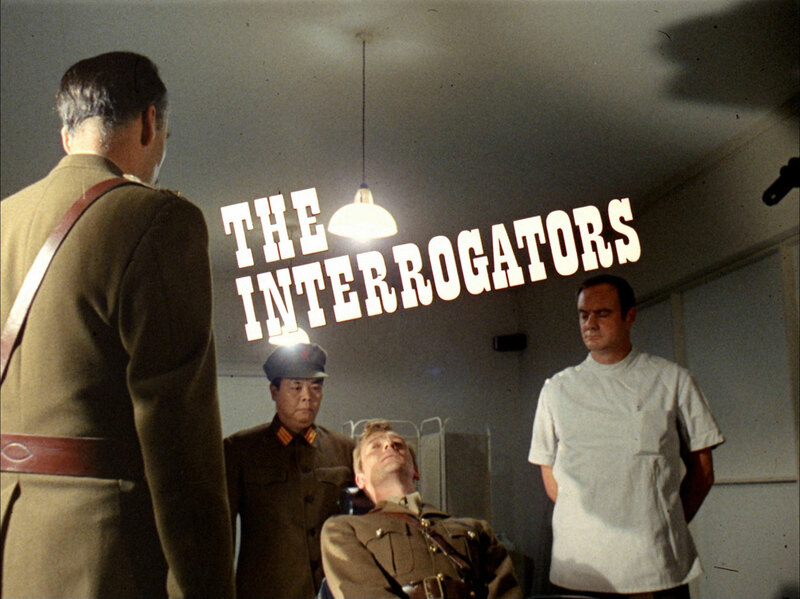 Colonel Mannering (Christopher Lee) of the British Army and Captain Soo (Cecil Cheng) of the ROC step in to take over the interrogation, Mannering assuring Caspar even the bravest soldier tell him everything eventually. 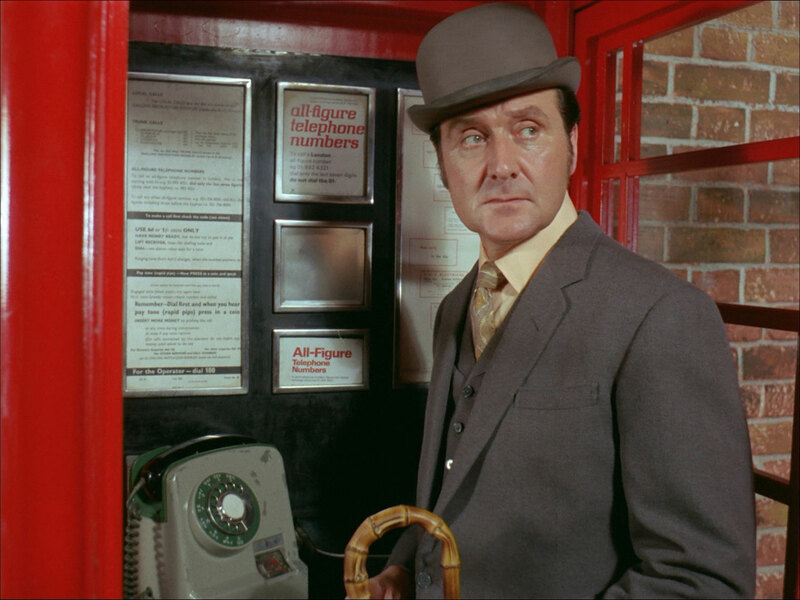 Steed visits Mother (Patrick Newell), whose HQ is hidden behind a telephone box. He passes Tara in the box and Mother informs him Caspar hasn't reported in for 48 hours. Tara reports in form Caspar's apartment - his clean clothes and razor are missing, and she spots an unusual cigarette in the ashtray. Caspar meanwhile, battered and bruised, is enduring a bucket of water in the face and begs for sleep. Mannering taunts him with the prospect of a soft bed then demands the name of his informers before he can sleep - especially the archer. Sgt Rasker (Neil McCarthy) enters with a tea tray and Mannering offers a cup to Caspar, who sits up happily to take a cup. Wilson, the archer informant, is killed with his own bow and arrow and when Mother finds out he fumes that Caspar has talked or been made to talk. 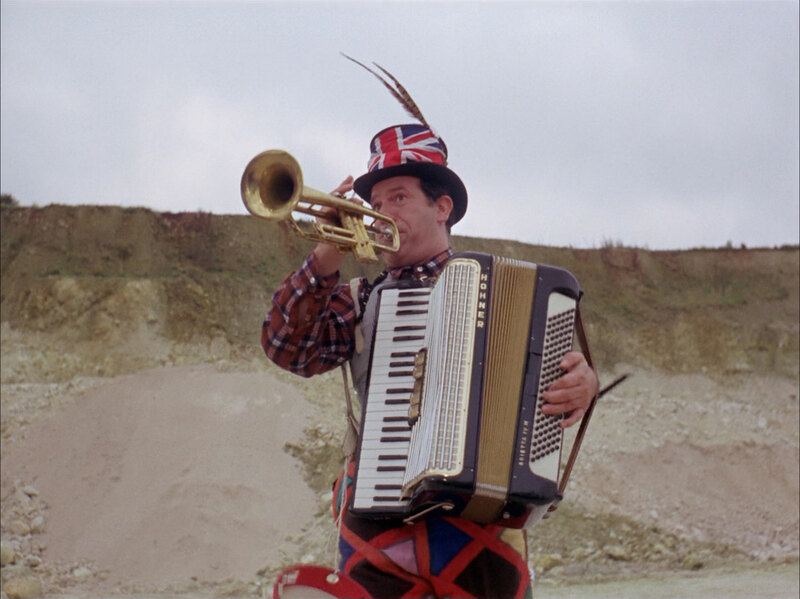 Steed is dispatched to warn another informant, Izzy Pound and his Incredible Marching Sound, who is rehearsing a one-man band act in a quarry. 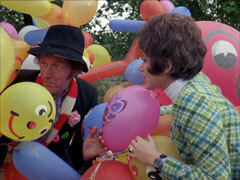 Blackie sneaks up on Izzy and shoots him with a sniper rifle just as Steed approaches. Tara meanwhile shows the cigarette stub to the head forensics investigator, Norton (Neil Wilson). He suggests it's of Oriental origin but says it doesn't help them locate Caspar - who is currently being dragged down a corridor. The guards throw him through a doorway - into the Officers' Mess, where he orders a dry martini from Rasker! Norton and his men depart, and Tara is starting to tidy up the ransacked apartment when Caspar saunters in. She takes him to Mother where he's interrogated by Steed but he declares he's been on a touring holiday of the South Coast, staying in pubs. Steed tells Mother that Caspar trained with Charles Minnow and Tara is sent to collect him. 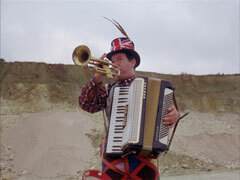 When she buzzes his intercom, Minnow (David Sumner) tells her he's just stepped out of the bath. Upstairs, Mannering asks if there's a service exit and he and Captain Soo follow Minnow out the back way - after he stops to grab his toothbrush. Caspar is shocked when Rhonda (Rhonda Parker) wheels in a gurney bearing Pound's body; he declares he can't tell them where he was - yet. Steed smiles and says he can go home to think about it. Outside, Caspar removes a suitcase from his car and releases a homing pigeon, then drives off. Steed emerges and follows him. Tara meanwhile discovers Minnow has followed Caspar's pattern. Minnow is being tortured with high frequency sounds when Blackie interrupts - Caspar's pigeon has arrived. Mannering sends Blackie off and when Caspar gets home he rings Mannering and tells him about being questioned. Satisfied Caspar has revealed nothing, he tells him he has done well, then Blackie enters and shoots Caspar. Steed hears the shots and bursts in just after Blackie makes it look like suicide. Norton and his men comb Minnow's apartment and turn up the same cigar as before and Tara warns Mother that Minnow has been grabbed by the same people as Caspar. Steed returns and reports that Caspar is dead while Tara is sent to collect Minnow's contact, Fillington, who is practicing football in a field. Blackie snipes his before Tara can take him into custody. She reports in and is sent to his next contact - whose name Mannering is trying to discover. Minnow makes a break for it but Mannering delivers a right cross, knocking him down. Minnow smiles and says he hopes escape attempts aren't against the rules. 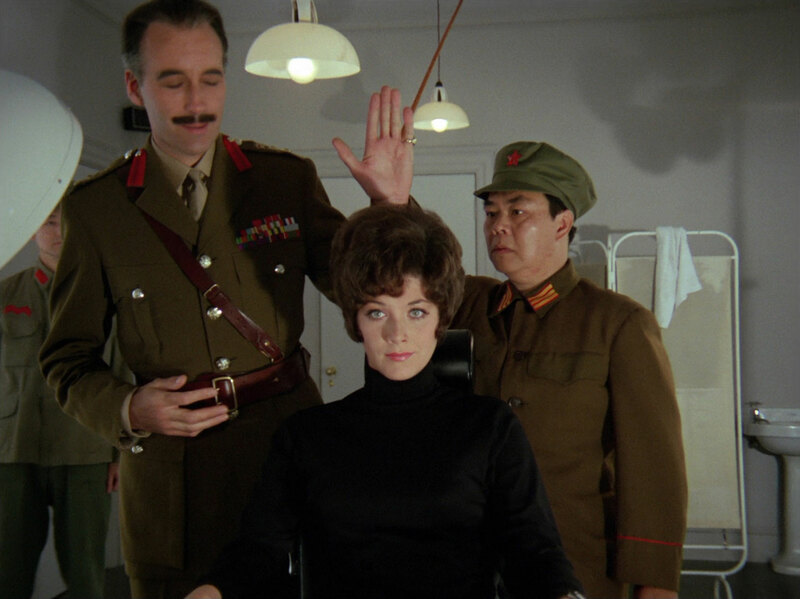 Tara answers her door to Mannering, who introduces himself as head of Interdepartmental Security, and Soo as head of Oriental Military Studies. Mannering tells he she been taken off her assignment to attend an interdepartmental security course. He pretends to call Mother and hands the 'phone to Tara - whereupon Rasker starts a tape recording of Mother giving orders in his sternest manner. Minnow meanwhile has told Mother and Steed of the deception, using Mother's voice to order them to attend the Test of Human Endurance course - at a large country house, whereabouts unknown. Tara arrives and is signing in when Paul Mullard (Neil Stacy), with whom she trained, is flung out a door and breathlessly promises to have a drink with her later before the guards grab him and drag him into another room. Mannering takes her for a drink before they get started, and they pass men in various states of batterment. Mannering introduces her to the other officers assembled in the bar then tells her it's the one safe place in the complex where they can "switch off". He warns her the course has already begun, she can be taken off for questioning at any time without warning. Mullard is surprised when Mannering calls a stop to his interrogation and congratulates him on withstanding them without revealing the name of his Hong Kong contact. 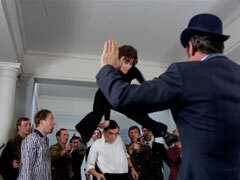 He takes him for a celebratory drink, Mullard tipping the brutal guards for beating him so. Mannering tricks him with some small talk into finally revealing his contact's name and description. Minnow, recalling events, has realised he was tricked the same way. norton arrives to report he found one of the suspect cigars in Tara's apartment, and she had gone. Mannering asks Tara to reveal all she knows about Steed just as Minnow recalls the pigeon he's to release if accused of treason - Mannering will contact him within the hour. 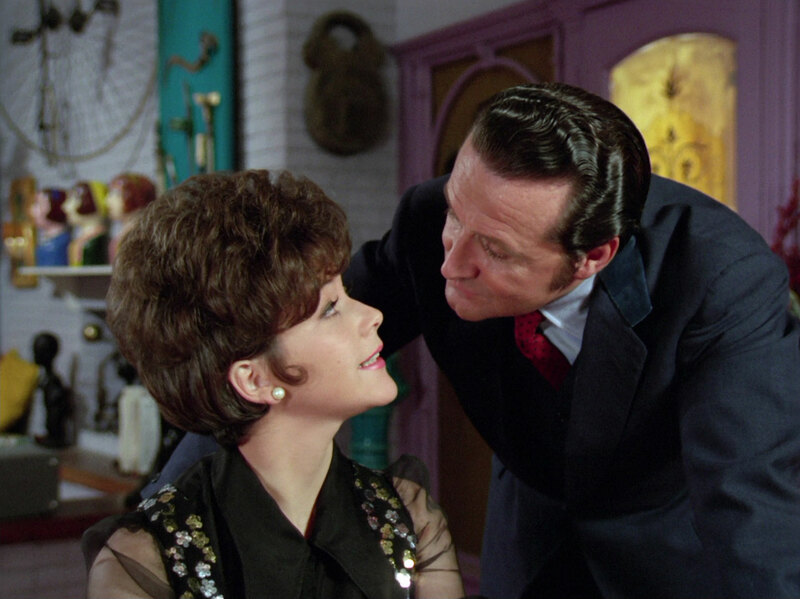 Steed pursues the pigeon in a helicopter and finds the house, but Rasker has heard and seen him arrive. Mannering orders Toy and Ling Ho to guard the back of the house. Rasker says it won't be enough, so Mannering assembles the trainees, who are issued with pistols and told they are to shoot to kill someone who has entered the house - the guns are loaded with blanks and the target is Steed. Tara, recovering groggily, hears this and the spies Captain Soo smoking one of his distinctive cigarettes. She defeats him and Rasker, then rushes out to stop them. She vaults over the trainees just as they prepare to shoot and tells them the guns have live ammunition. The men hesitate and Mannering enters, he congratulates Steed and Tara for testing the men's gullibility then insists they carry out their orders and fire - on both Tara and Steed. 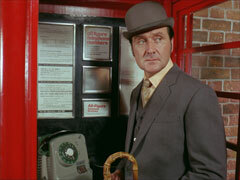 Steed suggests Mullard shoot the Colonel at which Mannering makes a break for it, but is captured.